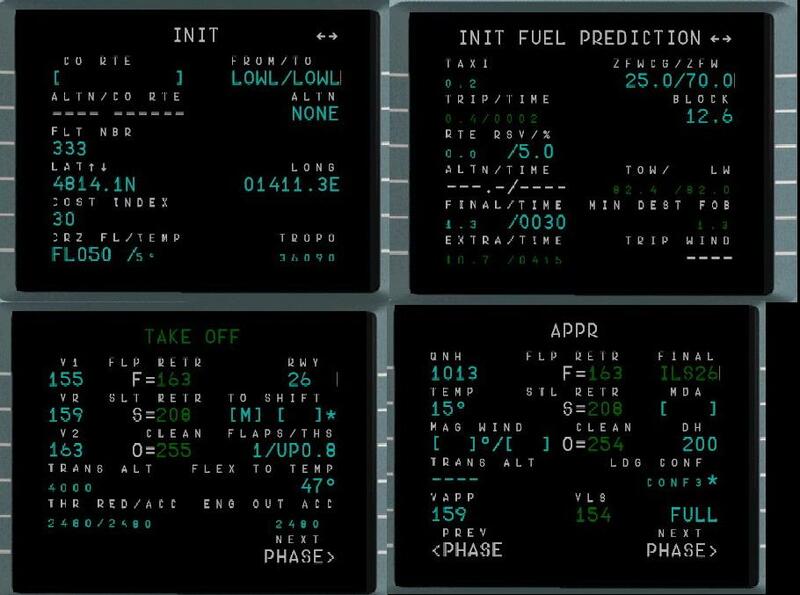 During the approach the Copilot extand the Flaps too soon (speeds above VFE) which causes overspeed warnings. I believe I know what causes this problem. The problem is caused by an other system bug. The speeds are not calculated/set correctly from "FMGC" your program-routine. 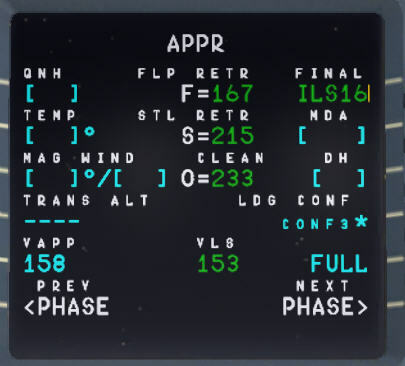 At higher weights the green dot speed is heigher than the VFE Flaps 1 speed. 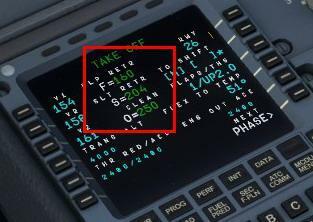 The green dot speed is used from the copilot as reference speed for flap operation. By the way, the calculated Flex Temp. is much too high, and the Trim setting is much too low. first question: I hope you are using release 1.04 and also installed hotfix 011? Because iwith hotfix 011 we solved some problems using a wrong ZFW which caused problems with too high APPR speeds. Please report back and then I will move your comments to the right Forum section.... to have the right people a look into it. Hotfix 011? where I can get it? 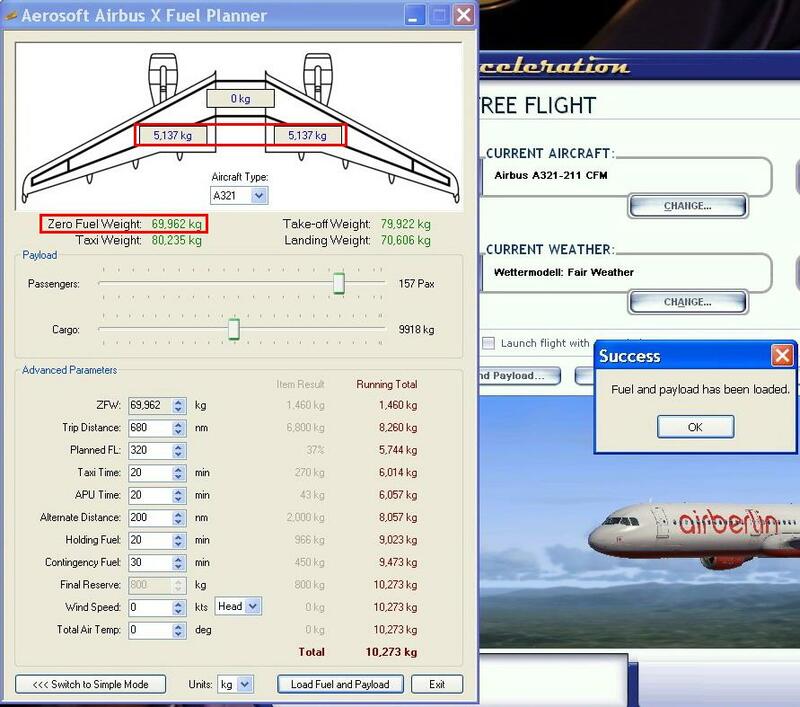 I have not seen it on the support page from Aerosoft. I must install all hotfixes or only the latest one? If i must install all of them, is it needed to install them in the correct order? Hotfixes are intended to be inserted on top of the current version (1.04 for the moment). They are optional but recomanded if you have a specific problem. You must overwrite the files. Thanks Mikii, but my problem is not solved with the HotFix. In your case the flaps are retracted too soon, aren't they? 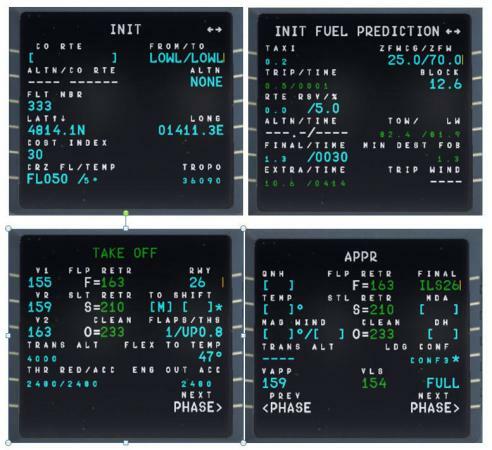 Because according to your v speeds (which seem coherent) the flaps are retracted at 148 kts wich is > to v2..
During a Flaps 1 Takeoff the F is not shown on the PFD at least on the real plane. 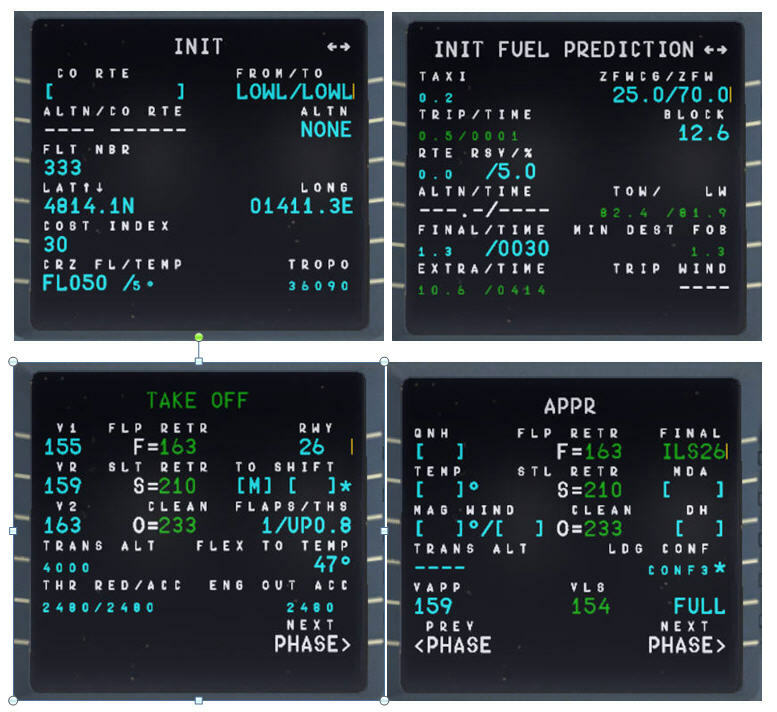 I have not yet checked it in the sim. However I speak from Flap extension. 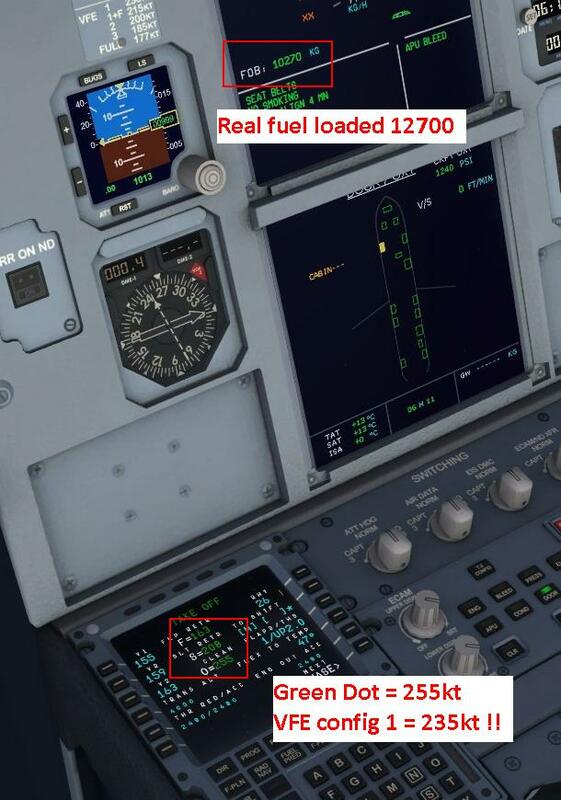 The picture should only show that the speeds are not calculated correctly (the example picture is from the A320). 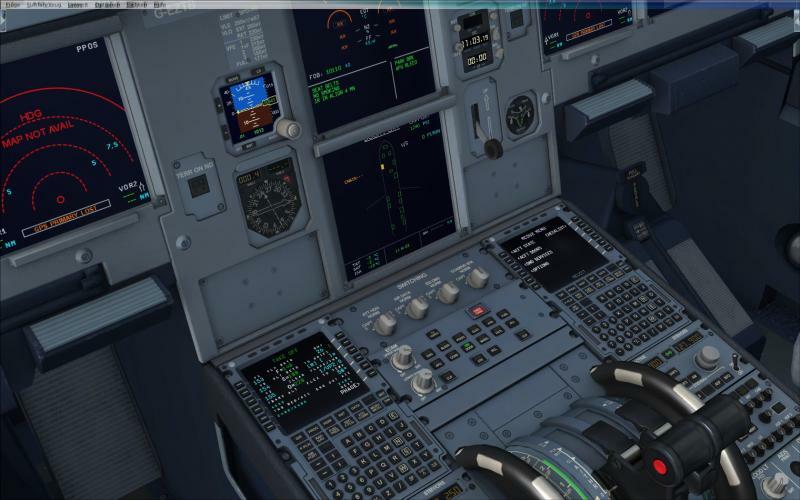 I will take pictures from the A321 also, coming soon. VLS and VAP are correct. 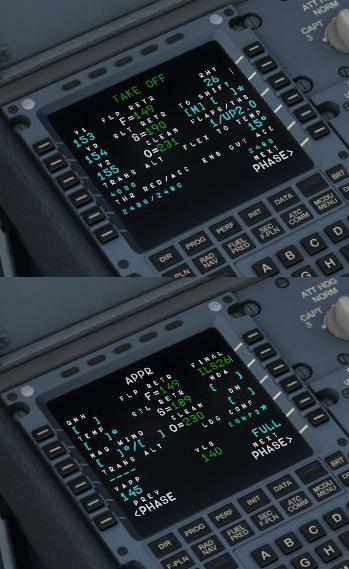 If virtual copilot selects config 1 at green dot speed you get a problem !!!!!!!!!! As I have an idea of the root cause so I ask you again to send me a complete set of scrrenshots i. e. INIT A and B page as well as the PERF pages for TO and APPR. Even if I do not always agree with you,	respect that shows greatness. I just tried again using 1.04 plus hotfix 011 and the data you sent to reproduce your problem. But unfortunately I cannot confirm it..... Please see the picture below. 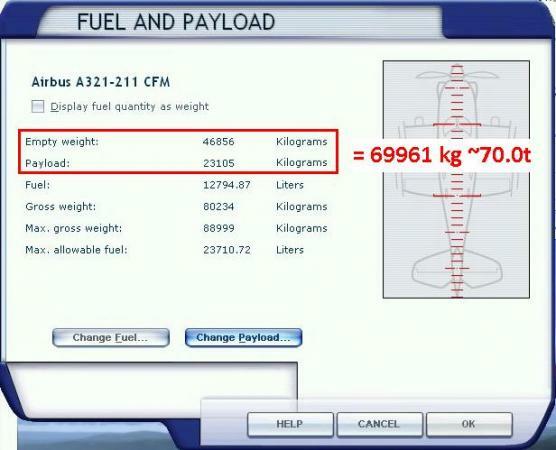 The fuel on board FOB story is solved, was my fault, have calculated with liters value. So the fuel is loaded correctly in the FSX and the value is shown correctly on the E/WD, and I have also set now all values correctly on the INIT page(s). Actually the A321 is for me not usable due to this problem, I wait for a solution!!! 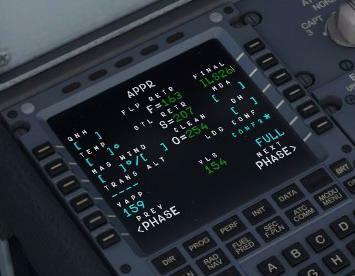 One question, installing the HotFix means simply unzip the HotFix file to the FSX directory, I am right? Nothing else to do? Michael, your speeds are to high, I'm sure the hotfix isn't correct installed. There is only one file in the folder as you can see. 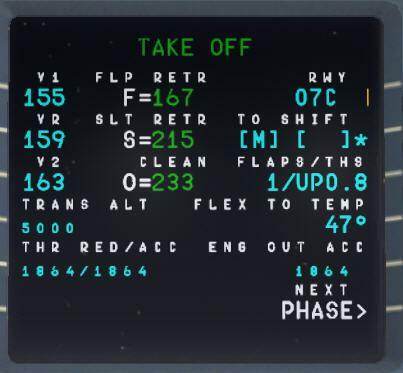 This file I have copied into the FSX directory. The picture shows the file which was inside the zip file, as you can see I have already copied it to the FSX folder. What Patrick is saying is that the file should show as a .zip, but it looks in your picture like it is corrupted. 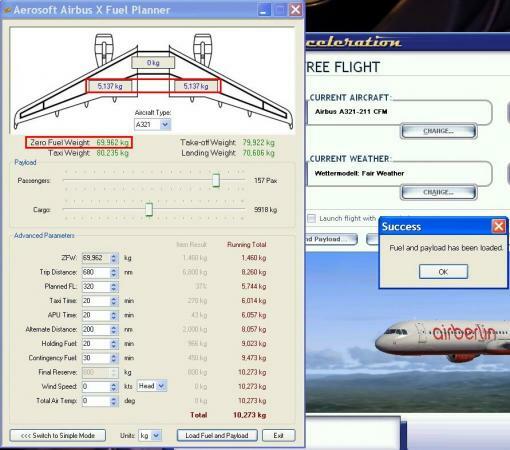 Also, when you download the .zip, you have to only Extract it to your main FSX folder. The longer way around that is opening the .zip and going through each folder and selecting each file to copy and paste them manually to their respective places. I know what is a zip file, I have downloaded the file unziped it, and this file was inside. I believe that the problem is caused by the internet explorer. I have downloaded it know with the Mozilla, and now the files are shown correctly inside the zip. I will install them and let you know if it works than. 1.) A correct download of the zip file via the Internet explorer is at least on my PC not possible. The zip file will be downloaded but the file inside is corupted!! 2.) The recommended procedure; Unziping the files directly two the FSX directory and overwriting of the existing files do not work correctly. Also if the PC asks if the existing files should be overwritten, and also if you confirm this the existing files will not be replaced! I think you (the manufacturer) should (must) NOTE the customers about these problems!!! Maybe I am not the only one which have these problems. Remark: The best would be to place a Note inside the HotFix section of this Forum! Also we've had 2,256 people download the hotfix and less than 15-20 have reported issues, and even less have reported an issue with unzipping it to their main FSX folder, and you might be the first with an Internet Explorer problem, but it's IE, can't be too shocked .